Perhaps you know it, perhaps you don't. Situated in Northwest London, it could be described as a relatively unremarkable area of London. But for some of us locals who proudly call it home, it holds a dear place in our heart and is actually filled with culinary treats. It's known mainly for its large Jewish community, but these days can also be seen as the home of many Polish people too, along with a notable Korean presence as well. This rich ethnic mix results in some great food options. 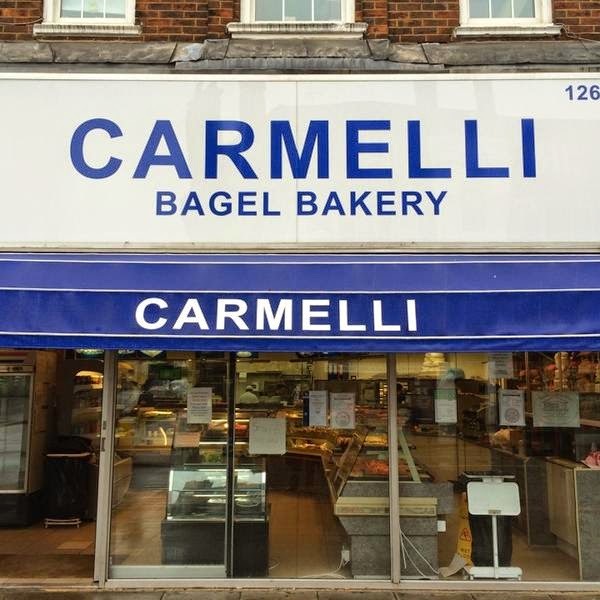 Their bagels cannot be beaten, and they also make some absolutely delicious sweet cheese pastries. Alongside these you will find some entertaining marzipan animals and faces, which while may perhaps look more fun than they actually taste, they feature as just some of the many baked delights to be found in this neighbourhood bakery. 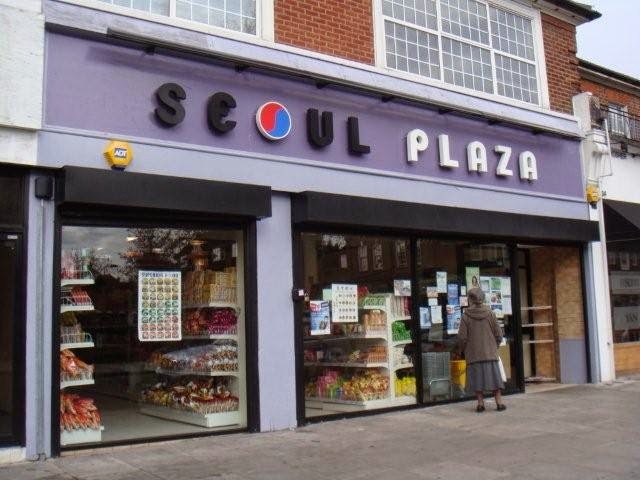 The Korean community can get a taste of home at Seoul Plaza. 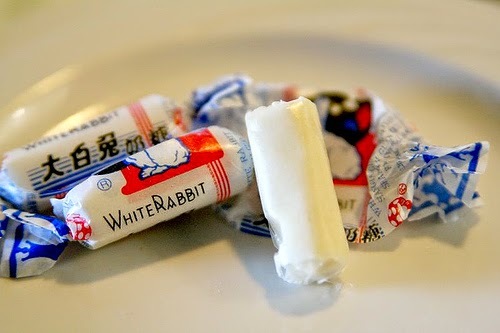 Filled with goods not just from Korea, but Japan and China too, they have a great selection of goods along with the absolute crème de la crème of asian sweets, the white rabbit. Like milk chews, but better. Mmmmm. Another excellent international supermarket is Buy 2 Save. My go to store for any middle eastern flavours, it stocks a whole host of goodies from date syrup to rose water, with delicious baklava to top it off. And if it's polish pickles your looking for, here you can pick them straight out a bucket. 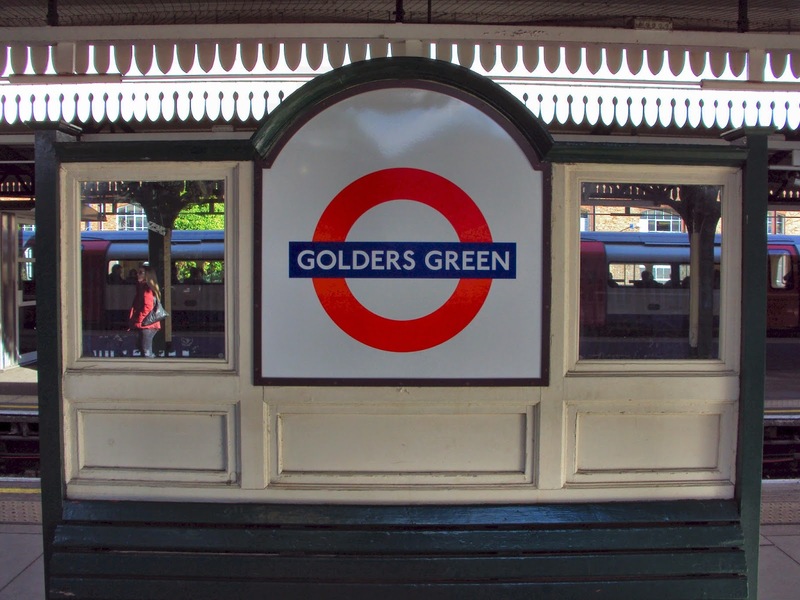 But if it's not bagels you're after and you've been untickled by the pickles, don't rule this glorious area out, as Golders also provides some absolute gems in the restaurant department. Home to two fine Turkish Ocakbasi grill restaurants, you are never far from the enticing smell of grilled meats. Likya was the first, and provides a great atmosphere, friendly service and some fantastic dishes, including sweetbreads and kidneys - and they are offally good. As you can see...I was a fan. Featuring donner, shish and kofte kebabs of both lamb and chicken, along with lamb ribs and chicken wings, all on a bed of rice with a delicious side salad, it really is a no brainer when it comes to ordering here. 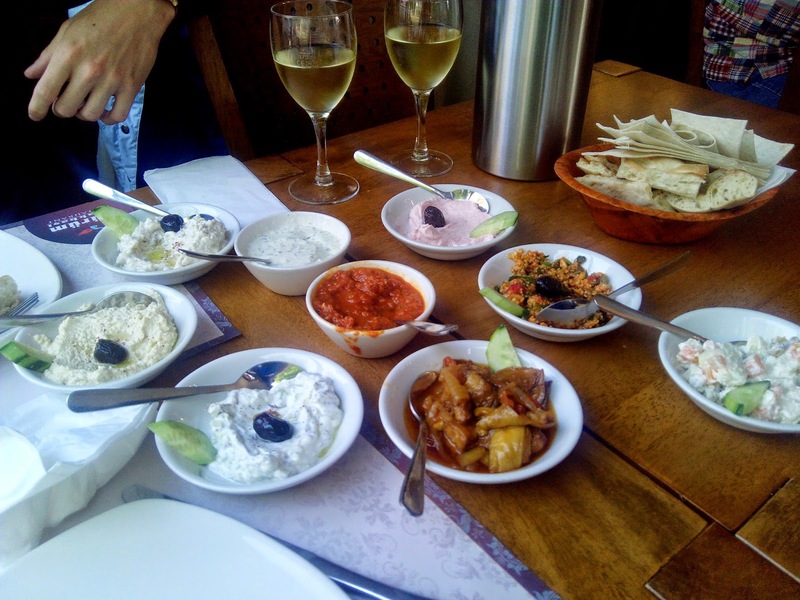 This platter, with the dips included, is recommended for 2-3 people. Having tackled it twice now, initially as a duo and then a 3-man team, I must confess it has championed me on both occasions, with rather large doggy bags coming home. No complaints really though, it's like the dinner that just keeps on giving. And the price for such an enormous amount of food? £30. So between 4 people (and even then I think you'd have spare), that works out at about 8 quid each. Amazing! There's plenty to share! This includes sushi, sashmi,tempura and a side salad. If your not such a fan of our fishy friends, don't fret - there are also some great beef and chicken options too. 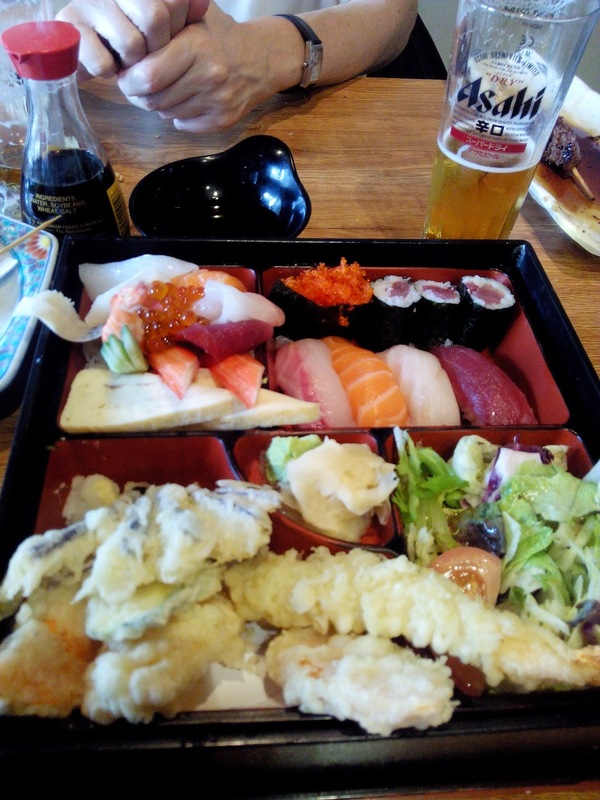 Another Japanese and highly recommended option is Cafe Japan, also a really small restaurant so if you fancy checking it out, probably best to ring ahead and book. I could not say I hail from Golders Green and not write about L'artista in a restaurant related blog post. This friendly Italian restaurant is situated under the bridge the tube runs over, and the rumbling noise heard every time a train passes only adds to the restaurant's charm.The pizza's are big, crispy based circles of joy, and the pasta dishes are also great, coming in huge portions too. Another wallet-friendly option, a margarita will see you back £6 and most dishes are around the £8 mark. Go on your birthday and you'll get a parade of italian waiters with cymbals wishing you happy birthday whilst throwing pizza dough on your head. It's like the present you've always dreamed of, but just forgot to ask for. There is also Pho, a Vietnamese restaurant with a great selection of tasty dishes, including some brilliant pho soups, alongside exciting salad such as papaya and prawn. I've only ever eaten take away from here but the restaurant itself seems very nice, and is most definitely on my list. The last one on the list today, but by no means the end of the options Golders has to offer, is Pita. More of a takeaway (although there is some space inside to dine in), I quote the wise words of my own sister when I say Pita serves 'the best falafel in the world'. And she's a veggie. Better take her word for it then! You can get all mains such as falafel, shwarma, schnitzel or hummus in a pitta, in a wrap or as a meal. 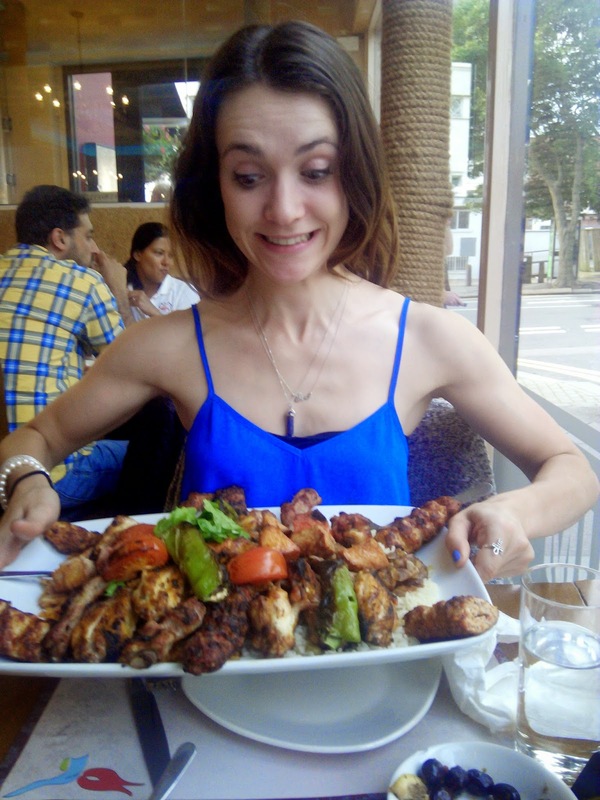 The pitta's are huge, and the meals include an israeli style tabbouleh salad, chips or rice,plus a pitta - more than enough to feed hungry bellies on the move. And with a falafel pitta costing just £4.20, I'd say it's not bad for the best in the world -and luckily for me it's just on my doorstep! Makes me want to visit and share a meat platter! Great read Eve. 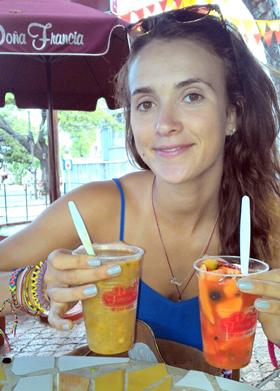 Join me, Eve Bidmead, as I bake and bite my way into Barranquilla, Colombia (and beyond). I am a keen cook and serious eater - be it fried lung or chocolate cake, I'll give anything a go once! Goodness gracious great balls of...energy? !